Yesterday we made our weekly trip to Costco and Cody bought a package of their cookies. If you have never had a Costco cookie, don’t try one. They are addicting and they will call your name until you have eaten the entire container. While we were shopping I could not stop thinking about those cookies in the shopping cart and I knew that when we got home I was going to eat them, unless I made some cookies that were just as delicious. I purposely left the cookies in the large box from Costco so I couldn’t hear them yelling for me to eat them while I quickly made my own on plan cookies. Preheat your oven to 350 and prepare a baking sheet with parchment paper. Using your stand mixer, mix the peanut butter, eggs, and vanilla together and then add in the rest of the ingredients. Mix until its all incorporated. Using slightly wet hands shape the dough into one inch balls and place on the baking sheet. They don’t really spread so they can be pretty close together. Dip a fork into some warm water and press onto the dough balls to make a criss cross design and smash the balls to look like cookies. I sprinkled a little bit of erythritol on top of the cookies. Bake them for 15 min, or until they are firm to touch. Remove them from the baking sheet and let them cool on a wire rack. If you have never used the THM Baking blend it is amazing! You can order it here and I get a small percentage of the sale to help keep my blog going and keep the recipes coming. Thank you so much. 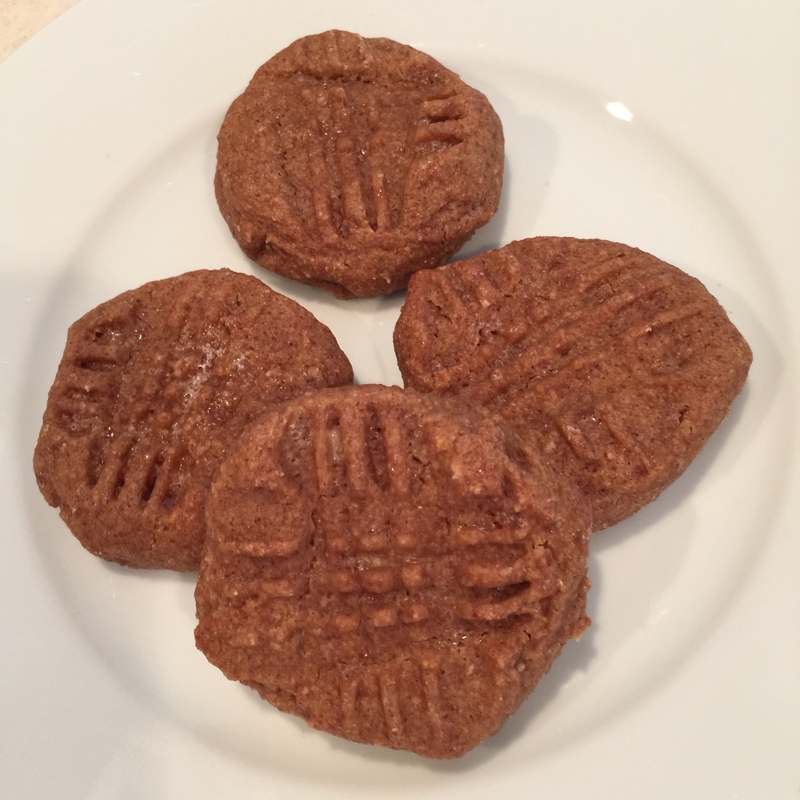 I see all of these recipes for pb cookies with no flour but they do not hit the spot for me at all. I can’t wait to make these I have baking blend already! Awesome! I love them so much and I have never liked peanut butter cookies before.